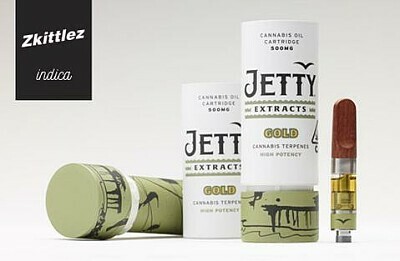 At the risk of sounding “cannasseur-ish,” Zkittlez is a new exotic with notes of berries and a fruity, tart finish that’s, well, really good. 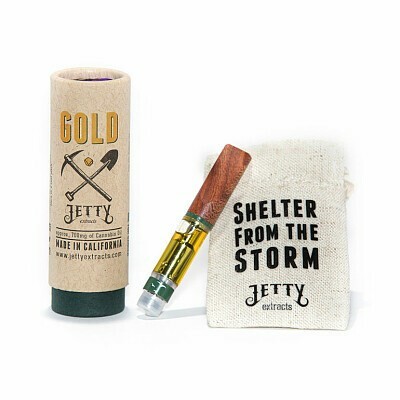 This indica hybrid strain is extracted, triple distilled and blended with its own natural cannabis terpenes, sporting a THC content of around 78%. 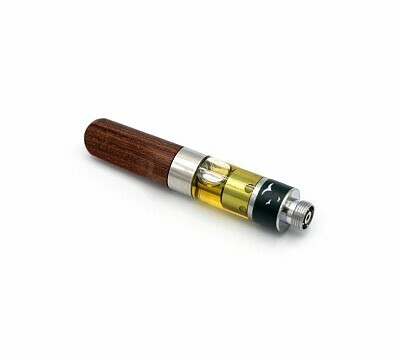 500 mg gold distillate in wood-tipped CCELL cartridge for 510 thread vape pen battery.